I regularly have long-running scripts or programs on Windows that crunch through log files. Often, the disadvantage with these programs, especially home-brew scripts, is that you have no idea how much progress they have made, or when they will finish. 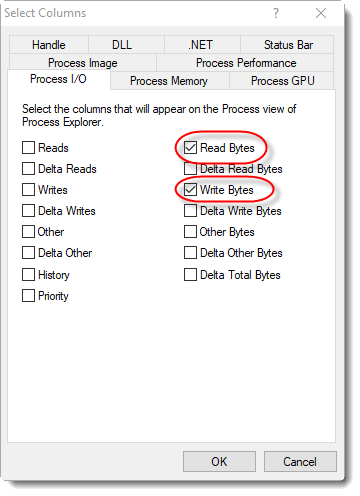 I use a simple trick to get an idea: I use Microsoft Sysinternals' Process Explorer to check how much bytes have been read/written by a process. Do you know a better/different trick? Or for another OS? Please post a comment. In my next diary entry, I'll give an example for dd.